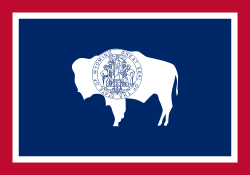 The 1992 United States presidential election in Wyoming took place on November 3, 1992, as part of the 1992 United States presidential election. Voters chose three representatives, or electors to the Electoral College, who voted for President and Vice President. 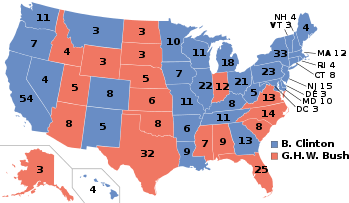 Wyoming was won by incumbent President George H.W. Bush (R-Texas) with 39.70% of the popular vote over Governor Bill Clinton (D-Arkansas) with 34.10%. Businessman Ross Perot (I-Texas) finished in third with 25.65% of the popular vote. 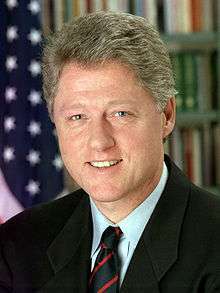 Clinton ultimately won the national vote, defeating incumbent President Bush. 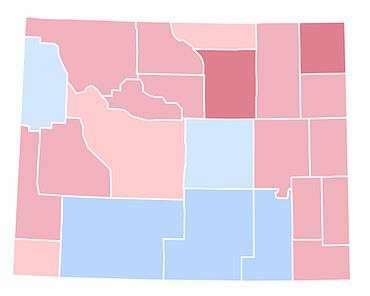 This election was one of the closest results Wyoming ever had in U.S. history, since 1948, when it narrowly voted for Harry S. Truman over Thomas E. Dewey. 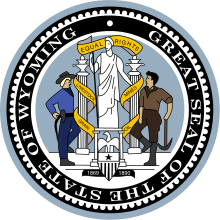 1 2 "1992 Presidential General Election Results - Wyoming". U.S. Election Atlas. Retrieved 11 June 2012. ↑ "1992 Presidential General Election Results". U.S. Election Atlas. Retrieved 11 June 2012.